Extraordinary photos need extra room, an extraordinary lot of room. 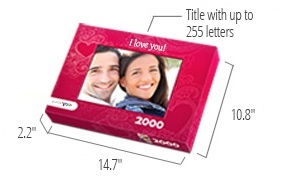 Our customized jigsaw puzzle with 2000 pieces is currently the largest photo puzzle on the market that can be created with your photo or a photo collage. Put your most beautiful photo in an almost 6000 cm2 large showcase. Whether you give the jigsaw puzzle as a present or have it for yourself; a customized jigsaw puzzle with 2000 pieces is a guarantee for long-time puzzling fun, particularly for ambitious puzzle friends. A special puzzle for special moments. 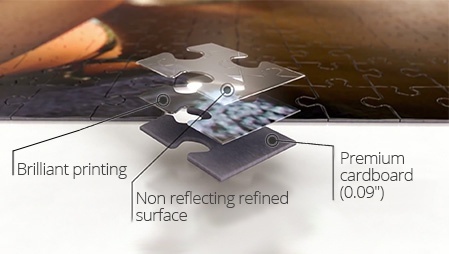 The photo puzzle comes with all pieces separated and collected in two polybags. These bags are inside the chosen puzzle box. Important: Please do take care that your photo does not have an insufficient sharpness or a deviating tint and be sure that it has not been underexposed. If there should be any doubt about the quality of your photo, please send it to us by e-mail and wait for our reply before placing an order. We will be glad to check your photo beforehand. 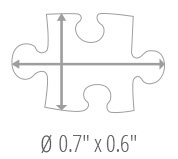 You will find your photo puzzle divided into two bags, each of them containing 1000 pieces. 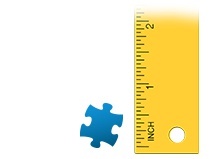 This gives you the possibility to determine how difficult putting your jigsaw will be. Either you start with putting the first 1000 pieces, then subsequently the next 1000 pieces and at the end, you connect both parts or you mix the content of both bags and put all 2000 pieces in one part. For such a large puzzle the exposure is very important. The best exposure can be reached by using daylight. Why not take the object or the whole group outside and shoot the photo there. Do you process portrait- as well as landscape photos? Except from the heart shaped puzzle you may always upload both portrait and landscape photos. Is it possible to see the actual status of my order? We will send you an order confirmation with a green button via which you may check the status of your order. Please do not delete this confirmation. By clicking the green button, you will be lead to your personal status site. On this site, you may find all the information about your order and the actual status of every single item. After your order has been shipped, a tracking number will appear with which you may track the delivery. The tracking number, that allows you to see the actual status of the delivery, can also be found in the shipping confirmation that will be send to you after your order has left production. All prices exclude shipping costs.